Opportunities are now available for OMHA Centres to apply to host the First Shift program during the 2019-20 season. A truly unique experience designed to help kids fall in love with hockey. The six-week learn to play program focuses on having fun while learning basic skills. Full head-to-toe Bauer equipment is included with registration, which is only $199. 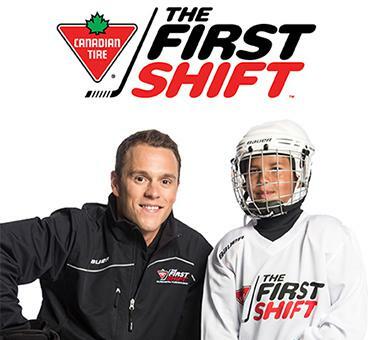 The Canadian Tire Fist Shift mission is to change the way hockey is offered, to inspire new families to join our community, and enroll their kids in our sport. 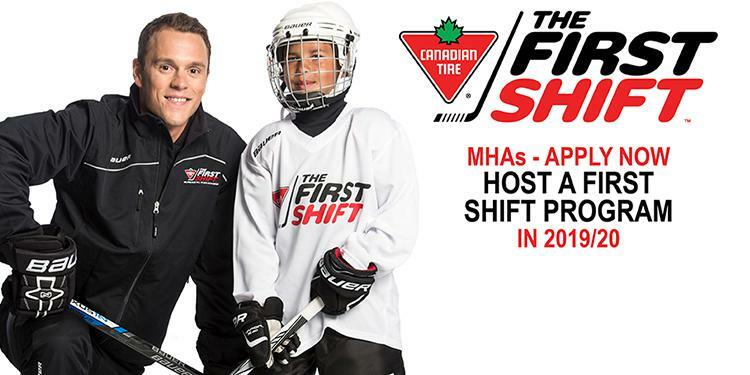 Because of the program’s belief in all that hockey has to offer kids, their families and our communities, the Canadian Tire First Shift was designed to make hockey accessible, affordable, and most importantly, fun! We've highlighted some associations that brought in new faces to the game and broke down some of the perceived barriers through the First Shift program. This introductory program doesn't require the financial commitment of a full season and is great for families who are unsure of what to expect in hockey and don't want to go all-in on their first experience. For some players, these programs could be the first time they have ever put on a pair of skates or picked up a hockey stick. Families may simply not know where to start when it comes to getting equipment or registering their children.